I am a full-time professional close-up magician, specializing in weddings and corporate events, but also perform at parties, dinners, charity occasions, bars/restaurants and festivals throughout Scotland and beyond. 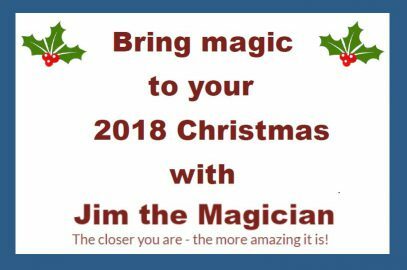 I specialise in close-up card magic, but also perform magic with other objects like a ring, rubix cube, etc…and provide some mind reading magic as well. Many guests can keep souvenirs including playing cards, envelopes, KitKats, etc…I am well known for magic various objects disappear and reappear in impossible locations. The type of magic I provide mostly is strolling magic round small groups of people and/or sitting at a table. I provide magic for adults and/or young people. I have had the pleasure of performing for some well known companies, including EY, Royal Bank of Scotland, Baillie Gifford, Scottish Whisky Association, Glasgow Science Centre and the National Museum of Scotland. I am also resident close-up magician at the world famous Pleasance Courtyard during the Edinburgh Festival Fringe. I’m also resident magician at The Pitt Street Market (Edinburgh) and Heb Celt Fest (Stornoway). As part of my company Beyond Belief Magic, I also teach magic to beginners and intermediate level, both on a one-to;one basis and in small groups. Check out the latest from my Blog!